So here’s the thing: I’ve always been a bit wary of Aveda salons having had a bad experience in one about a year ago. I wasn’t sure about the whole ethos: nice in theory, but I wasn’t that impressed in practice, with the hair salons at least; both the cut and the vegetable based colour, which did no favours for my skin tone, were disappointing.. I drive past the Gina Conway Aveda salon and spa in Wimbledon pretty regularly, being a Wimbledon resident, but for some reason have never ventured in…it’s not quite at the right end of Wimbledon to be convenient for me (with kids and work etc) , and I guess I was still feeling rather scarred by my last experience in an Aveda salon. To give a bit more background to all of this, since losing touch with my lovely hairdresser, Marco, formerly a style director at T&G Mayfair, now at TIGI it’s been a bit of a slog trying to find someone who compared. Wimbledon is pretty much littered with hairdressers of various kinds and I’d say I’ve tried a fair few of them. 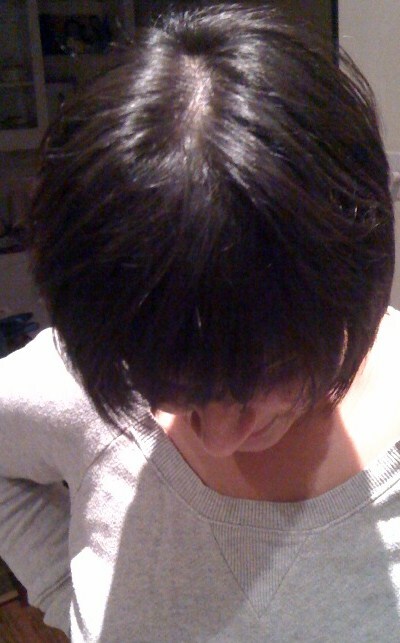 Fast forward to my appointment at GC today after pretty much reaching the end of my tether with my fringe. I was ushered to my chair for my complimentary relaxing head and shoulder massage by Michaela using one of three essential oils on offer (rose, lavender or ‘energising’). This is part of the package with any hair treat at the salon, and can only be described as amazing (Michaela is trained in acupressure massage, and it really left me hungry for more of the same please!). Next came my consultation with Kliff the style director. I must admit to feeling a bit intimidated at this point at meeting ‘the main man’. How wrong could I have been: Kliff turned out to be just too sweet for words and we hit it off straight away. His background is as a style director at T&G (good credentials, although in my experience this in itself does not lead to a good hair cut). Kliff was incredibly easy to talk to, and seemed to understand straight away what I was after: a slightly choppy, ‘defrumping’ bob with a bluntish fringe. I’ve come away feeling not only extremely pleased with my new choppy hair do, which Kliff seemed to achieve effortlessly, but also feeling relaxed and wanting to go back for more treats! 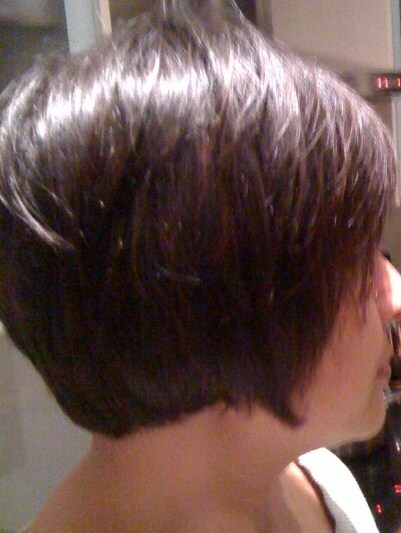 Gina Conway is a destination salon in the true sense. Relaxation is guaranteed in the usual earthy Aveda setting which somehow manages to tread that fine line between being exclusive (rich Wimbledon Village mummies abound here) without being intimidating: you’ll come away feeling pampered and valued. GC has various branches around south-west and west london. First time customers are given £20 off their first treatment.